Note: This post was first published on the Pioneers.io blog. Startups like GomSpace, Solar System Express, and Infinity Aerospace are catering to that audience with parts and kits to build satellites. The startup NanoSatisfi and the OPS-SAT mission of the European Space Agency are democratizing access to satellites by providing timeshare plans for experiments. On the software side, there are space related hackathons and competitions like Space Apps Challenge, ESA App Camp, ESA App Challenge, or the Austrian FFG Space Apps Competition blooming all over the world. The 3D printing boom is also highly relevant to space. Getting parts delivered to the international space station is very costly. Supplying future Mars missions in the nick of time will be straight out impossible. Think about processing the resources from future space mining directly in space instead of transporting them back to earth. We will need completely new fabrication methods that work in zero gravity. 3D printing seems to be the best solution for all of these challenges. There is even a competition to 3D print rocket engines withDIYROCKETS. But the ultimate DIY rocket maker project has to be Copenhagen Suborbitals. Those guys are building a complete suborbital rocket with solely their hands and outside donations. It will take them some time to really fly a human, but so far they have come further than anyone thought possible. Watch some DIY space capsule building here. The engines are always the most difficult part of a rocket and The Space Ship Company (TSC, the company building Virgin Galactic’s air- and spacecraft) had to completely redevelop its engine with help of a more experienced contractor. Now it’s looking good for the first suborbital flight by the end of the year and passenger flights at least one year after that. Bigelow just announced an agreement to place a smaller test module, the Bigelow Expandable Activity Module (BEAM) onto the International Space Station. 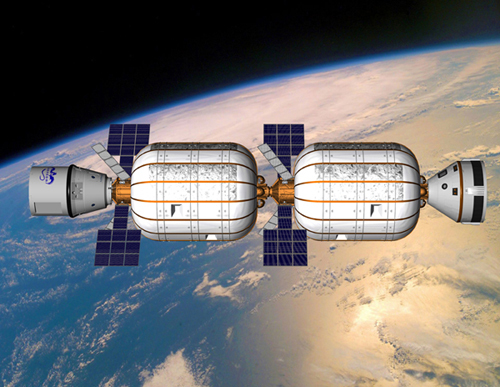 There are also plans to use the modules as shelter for a moon station. Let’s move on from space stations to inter-world space travel. Mars One and Golden Spike are aiming to bring humans to Mars and Moon, respectively. Their business models couldn’t be more different at the moment. While Mars One wants to select their astronauts out of average citizens and finance the mission with a reality show, Golden Spike is looking for wealthy individuals to pay US$1.5 billion for a two-person Moon landing. Mars One has no immediate plans to bring their crew back, in contrast to a tourist round-trip package offered by Golden Spike. Not a landing, but just a flyby around Mars is the goal of Denis Tito’s Inspiration Mars project. Denis Tito, the first space tourist, won’t be flying himself. He is looking for a married couple to make the trip. If it’s true that most relationships end during vacation, then this couple better have a very strong marriage to survive! So there are quite a few fascinating space projects in the works, but maybe none will be as important for humankind than space-mining. We only have limited resources here on earth, and if we desire to settle in space and resupply earth, we will need to make use of the limitless wealth that space has to offer. Planetary Resources is on its way to becoming the first space mining company, that is, if they are not beaten by their new contender Deep Space Industries. As with any other serious mining project, Planetary Resources begins with prospecting. Thus, their first generation of spacecraft will consist of telescopes designed to find, map, and categorize those hundreds of thousands of asteroids. One of those telescope satellites will display images from Kickstarter campaign funders, which will be photographed with a backdrop of earth, the moon or whatever they choose. Oh, and Richard Branson funded the Kickstarter campaign with 100k and also joined Planetary Resources’ core group of investors. In this new entry to my Favorite Speeches Robert Zubrin, author of The Case for Mars and founder of The Mars Society, explains the ultimate reason why colonizing space is important. 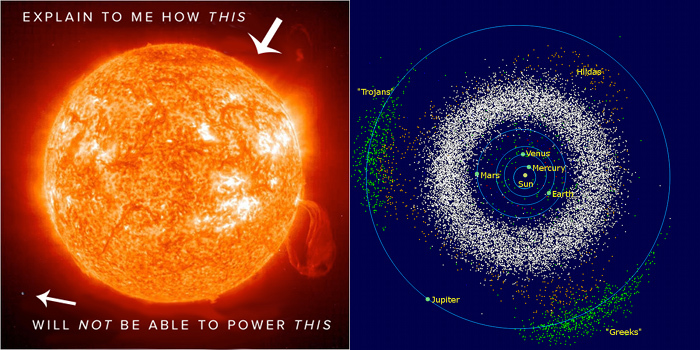 It’s not about surviving the next big asteroid that will hit earth or other events far in the future. It’s about the psychology and development of humankind in the immediate future! The following passage from Marianne Williamson‘s book ‘A Return To Love‘ is commonly mis-attributed to Nelson Mandela’s 1994 Inaugural Address.